Despite growing up in a region where football was king, Shreveport native Joe Dumars enjoyed a successful career as a player and executive in the NBA. Joe Dumars III was a six-time All-Star guard for the Detroit Pistons of the National Basketball Association (NBA) in the 1980s and 1990s. The Shreveport native helped the franchise win two league championships as a shooting guard; he then moved to the Pistons’ front office after his playing days ended and earned a third championship ring as a team executive. Dumars was born on May 24, 1963. As a child he was more of a football fan, an affinity he shared with his five brothers. He gravitated toward basketball as a teen and learned the game with a makeshift homemade basketball hoop in the yard of the family home in Natchitoches. He went on to star for four years at McNeese State in Lake Charles, where he finished his collegiate career as the eleventh-leading scorer in National Collegiate Athletic Association (NCAA) history. Taken in the first round of the 1985 NBA draft by the Detroit Pistons, Dumars sharpened both his scoring and, especially, his defensive skills when he joined with teammate Isiah Thomas to form one of the most successful and lauded backcourts in professional basketball history. With Dumars playing point guard and shooting guard as needed, the Pistons won NBA titles in 1989 and 1990; Dumars was most valuable player of the league finals in 1989. He was a member of the US team that won the gold medal in the 1994 world basketball championships. In addition to his All-Star Game appearances, he was named to five straight NBA All-Defensive teams, highlighting the lockdown style that led all-time great Michael Jordan to call Dumars the best defender he ever faced. The result: induction into the Naismith Memorial Basketball Hall of Fame in 2006. But it was perhaps his character and off-the-court abilities that distinguished Dumars as a basketball legend. In 1996 he received the inaugural NBA Sportsmanship Award, which was subsequently named in his honor. 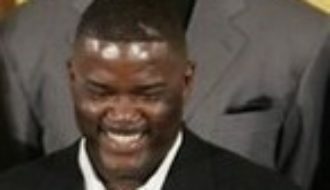 After retiring as a player, Dumars moved seamlessly into the front office, becoming the Pistons’ president of basketball operations in 2000. In that role he received league Executive of the Year accolades in 2003, then assembled the Pistons squad that won the league championship a season later. Dumars’s commitment to Detroit also extended to the business community, where he was a president and CEO of Detroit Technologies. Whirty, Ryan "Joe Dumars." In https://64parishes.org Encyclopedia of Louisiana, edited by David Johnson. Louisiana Endowment for the Humanities, 2010–. 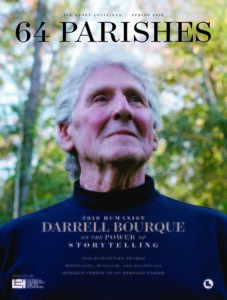 Article published December 19, 2013. https://64parishes.org/entry/joe-dumars. Hareas, John. Blue Collar Champions: 2004 NBA Champion Detroit Pistons. Solana Beach, CA: Canum Entertainment, 2004.